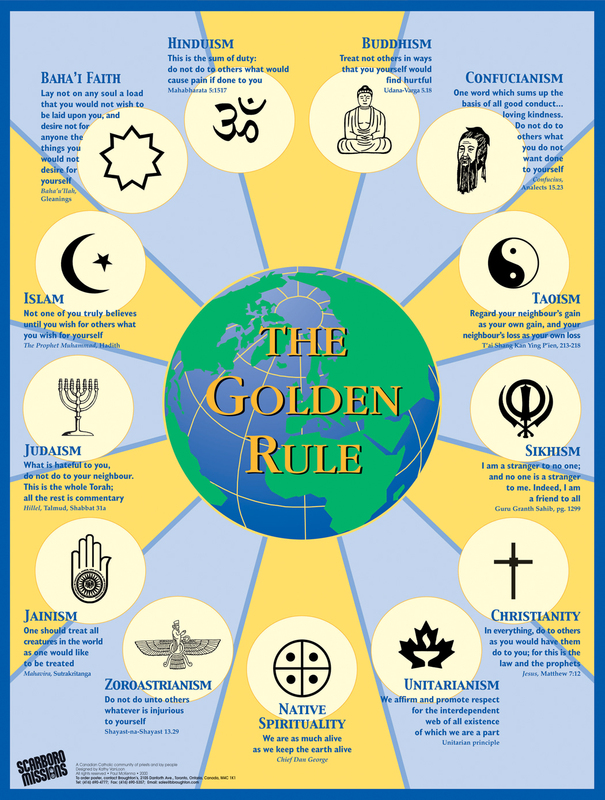 Something to keep in mind: the poster does not, of course, contain Golden Rule statements from all the world’s cultural, philosophical, spiritual, and indigenous traditions. This is a physical impossibility, given the thousands of such traditions that exist. 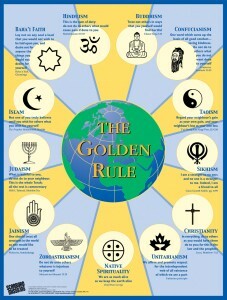 But the poster does have an inclusive quality in a symbolic way. The poster is a symbol, in that it points the viewer to something bigger than itself, something beyond itself. The poster points the viewer to a more inclusive vision of things, and thus has the capacity to create a consciousness in the viewer that is broader, more pluralistic, more open and more global.